Welcome! We offer a full slate of professional services while providing educational and research experiences for our faculty and students. Our clinic is unique because physical therapists, students, and researchers work together to implement cutting-edge PT treatment to our patients. Welcome back! We’re here to provide you with not only high-quality care when you need it but also a variety of resources to help you stay fit, well, and injury free. We hope you’ll take advantage of all of the support offered here, and we welcome your suggestions for other ways we can help. Becoming a volunteer is a great way to gain exposure to the physical therapy profession. Volunteers are extremely helpful to the staff in assisting with the flow of patient care. Volunteers may use these hours to submit for application to physical therapy schools. The Delaware Physical Therapy Clinic is the state’s premier outpatient clinic. 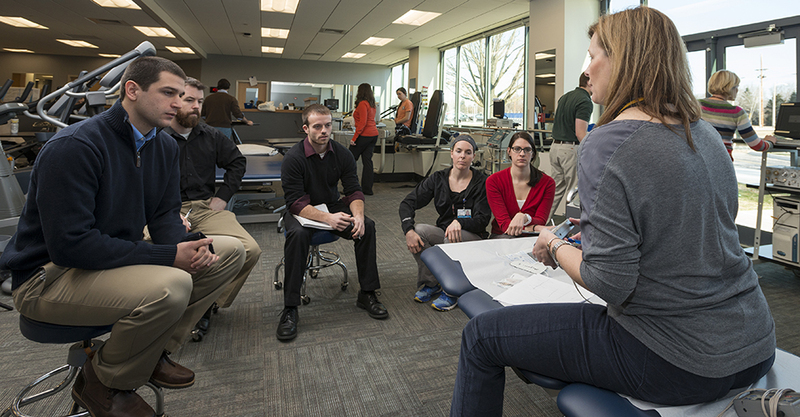 Located at the University of Delaware’s STAR Health Sciences Complex, the clinic provides a unique environment where physical therapists, students, and researchers work together to implement cutting-edge treatment to patients from the University and the surrounding community. The Delaware Physical Therapy Clinic is a full-service professional operation that is open to the community while providing educational and research experiences for physical therapy faculty and students. With our move to the STAR campus we are expanding not only our physical space but also our treatment capacity. 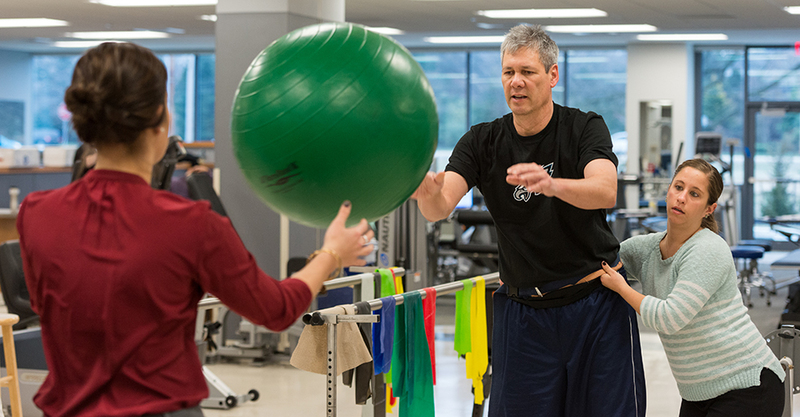 As of January 2014, the Delaware Physical Therapy Clinic relocated into the brand-new facilities at the University’s STAR Campus on South College Avenue. At almost 10,000 square feet, the new clinic is almost twice as large as our previous space, and it is equipped with state-of-the-art treatment equipment and technologies. Our clinic is unique because physical therapists, students, and researchers work together to implement cutting-edge treatment to patients who demand high-quality healthcare. Patients and members of the community have the opportunity to participate in the wide range of research projects ongoing in UD’s Department of Physical Therapy.